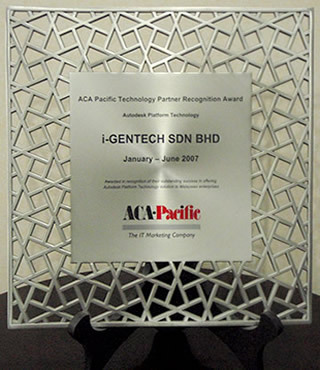 We have been delivering design automation solutions from Autodesk to design professionals in Malaysia since 1990; making us the longest established partner of Autodesk in Malaysia. 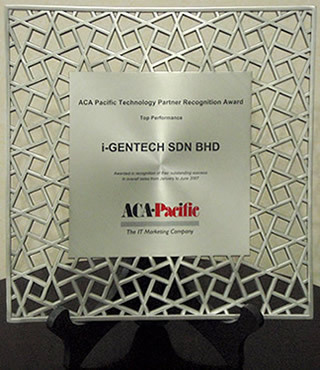 Operating through four location across Malaysia, with the largest team of technical support engineers and consultants. 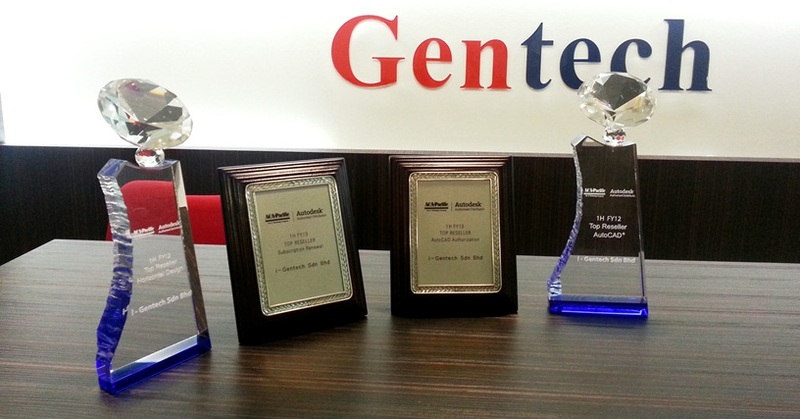 Gentech is the design automation technology partner of choice to the largest organizations utilizing Autodesk software in the country. Our focus on delivering productive technology and optimizing returns for our customers has resulted in the building of long term relationships. 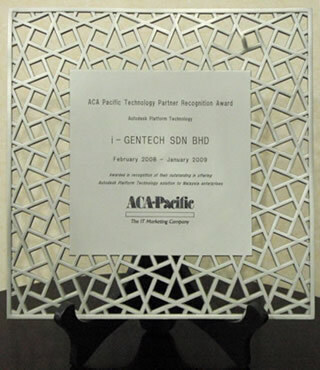 Our leading position is evidenced by the recognition accorded to us as the top reseller of Autocad for several years and also as the top reseller of Autodesk 3D manufacturing design software. 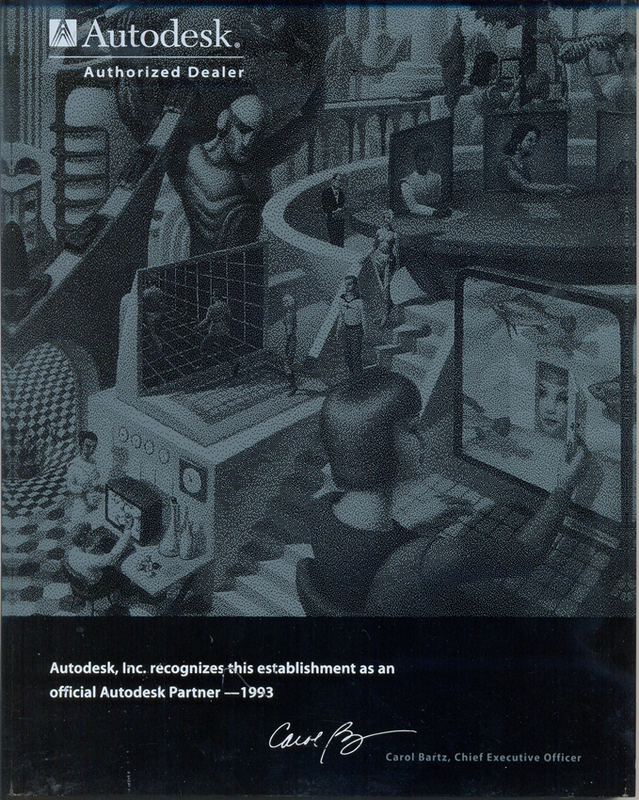 Gentech is now and has been an Autodesk Partner for many years. 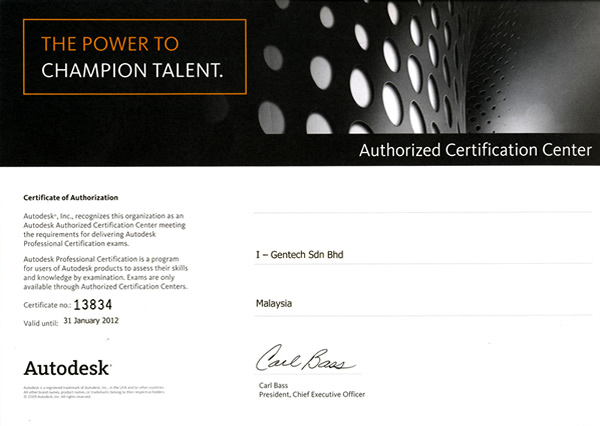 Which shows our ability to deliver complete Autodesk software solutions. 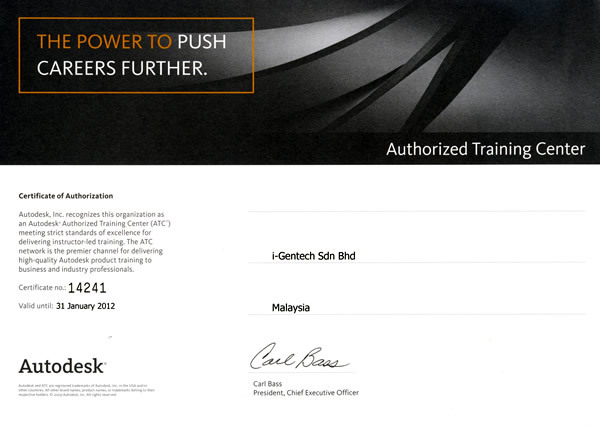 As an Autodesk Partner, Gentech can provide technical expertise in many industries, solutions, support, training, implementation and consulting services for Autodesk's products.